To investors, your Telegram channel is a help desk. Group members are motivated to make money with cryptocurrency, which means finding answers to their most pressing questions is paramount. Your project lives and dies by word of mouth, so success hinges upon how well you satisfy the curiosities of the community. If you supply the right information, you’ll appear transparent and your credibility will be confirmed. With the proliferation of ICOs – market capitalization of ICOs increased by 35x in 2017 – investors are becoming more selective about where they put their money. Without a tangible product, online interactions are the only way to showcase the value of your project. Interactive chat is key to attracting, informing, and retaining those serious about funding your ICO. 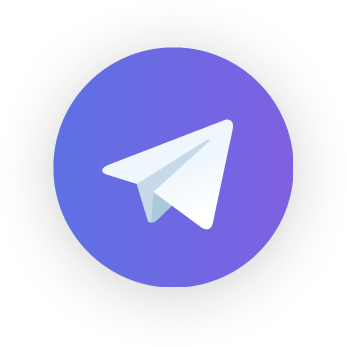 This section looks at four ways to deliver top-notch support to your Telegram community. This will help you to deliver key information, earn respect for your crypto project, and nurture investor confidence. Answering all product-related questions is essential to earning the trust of your community. New members are curious about the ICO process, the supply of tokens, and how to manually add tokens to their wallets. Existing members will want regular updates about your project roadmap and any relevant developments. A satisfactory reply should demonstrate your expertise and alleviate the doubts of your followers. That said, cryptocurrency investors are more sophisticated than ever, so everyone has an opinion about how you should run your project. People are quick to recognize and expose any knowledge gaps, so it’s important to deliver comprehensive answers. Any unresolved inquiries will leave investors feeling insecure, a sentiment that can spread to others if unremedied. For example, avoid unhelpful replies such as “read the whitepaper.” Instead, be thorough in your responses. This will quash apprehensions and instill confidence in community members. The faster you respond, the more credibility you’ll generate for your project. The digital revolution has shortened our attention spans, so expect your investors to be impatient. With money on the line, impatience can translate into frustration and wandering eyes. Treat each incoming message with a sense of urgency. As competition in the ICO space increases, successful crypto projects know to prioritize round-the-clock attention to their channel. After all, the function of a Telegram channel is to nurture your community. For best results, provide your group with real-time communication that will secure their loyalty. Though you’ll never please everyone, members must know that their concerns are being heard. You can create and use slash commands in Telegram chat to quickly respond to common questions. This way, members enjoy fast turnaround for queries, and you save time from going back and forth between internal documents and the channel. When members receive a prompt reply, they feel valued and this helps to promote engagement. The more questions are asked, the more trust is developed and the greater chance you will secure their investment. Open and rapid lines of communication will make your project seem transparent, deflating worries in the minds of your audience. You won’t have the answer to every question – and that’s okay. Group members want quick answers, but they also recognize that your team is comprised of humans. If you’re stumped by a member’s question, tell them so and assure them that you’ll find the answer directly. Be sure to provide a reasonable timeframe for a follow-up, as this will help to manage their expectations. Once you’ve added the question to a spreadsheet, dip into your team’s shared Slack channel to find the solution. Taking note of the question will help ensure it’s not forgotten. With the appropriate reply in hand, report back to the group member. When customer service becomes public it becomes a spectator sport. If you are really good at public customer service, then your social care can become a new form of marketing. Use this interaction to prove to everyone how much your company cares. According to Sprout Social, 45% of people will post about a positive interaction they’ve had with a brand regarding a complaint made on social media. However, this readiness to talk cuts both ways. If investors feel neglected in Telegram chat, they won’t hesitate to share, and thereby damage your project’s reputation. With your support record open to all, being candid and following up with individuals is the best way to establish your accountability and responsiveness with the community at large. As your ICO approaches, certain questions will keep recurring in chat. The most efficient way to address these frequent queries is to host a self-service support portal. Linking to this pre-existing resource during a chat saves you time that would have previously been used for a full explanation. According to a survey by Zendesk, 91% of consumers would use a knowledge base if it were tailored to their needs. While chat should be your central mode of support, a digital help desk frees the community to find answers whenever they want. This way, those with a quick question don’t have to wait for a chat window. With a library at the ready, the number of daily queries will drop and you’ll be able to provide faster and better support. For example, linking to any relevant support materials at the end of a chat will help members feel like their interaction was truly comprehensive. A knowledge base could be an FAQ page on your website or a standalone micro-site. Website builders like WordPress are an inexpensive way to answer a specific set of questions without distraction. While a human presence is essential to Telegram support, a self-service support portal is a critical tool for handling those repetitive and inevitable queries. Use your Telegram channel to make your would-be investors happy. And what puts a smile on an investor’s face? Confirmation that they’re going to make a smart investment in a promising ICO. Answering the questions of your community with support chat is the best way to clinch the loyalty of your followers. By alleviating any worries in real-time, you secure their confidence and mitigate the risk of their falling for another project.